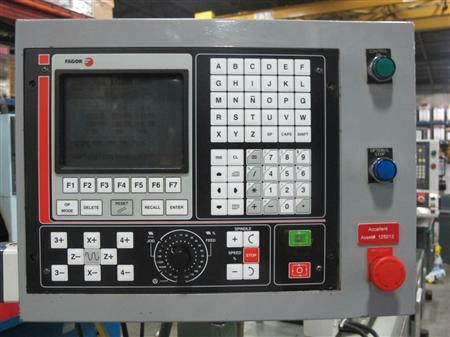 Fagor Mill 8025/8030 Models M MG MS GP and Fagor Lathe 8025/8030 Models T TG TS programming G codes / M codes complete lists. Fagor 8025/8030 Models M MG MS GP programming G codes / M codes complete lists. M45 Selection of rotation speed of the live tool and that of the synchronized tool. Fagor 8025/8030 Models T TG TS programming G codes / M codes complete lists. G97 Speed S in rev/min.